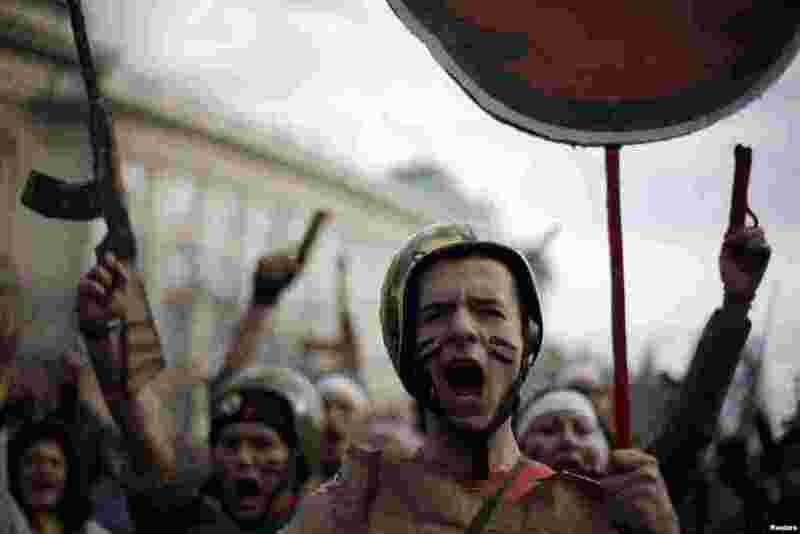 1 Protesting students wearing fake military uniforms shout anti-government slogans during a demonstration in front of Sofia University. Thousands of Bulgarians joined several separate rallies against rampant corruption, low incomes and high unemployment in the European Union's poorest country, mounting pressure on the Socialist-led government. 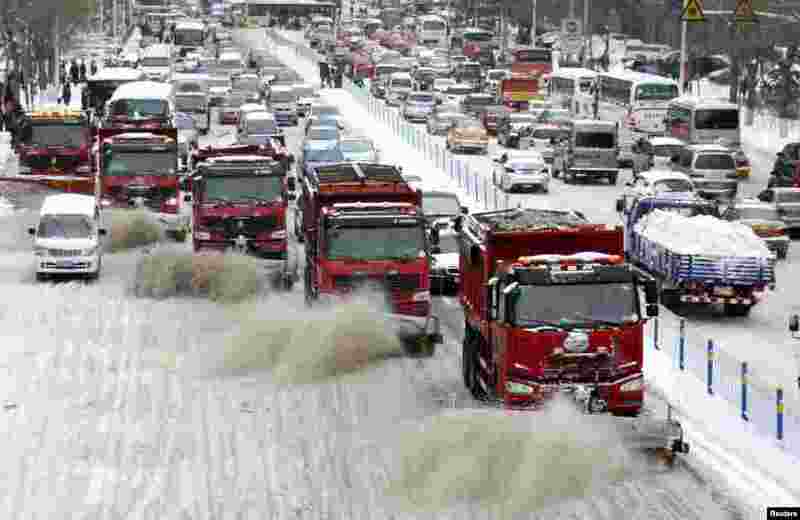 2 Snow clearing vehicles work on a road in Harbin, Heilongjiang province, China. 3 Riot policemen stand guard at Constitutional court in Bangkok. 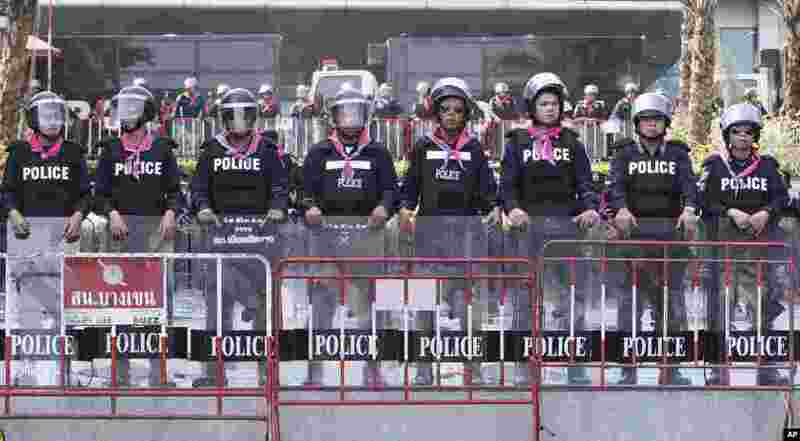 Thailand's beleaguered government, plagued by street protests over an ill-advised attempt to help ousted former Prime Minister Thaksin Shinawatra, faces a fresh challenge Wednesday when a court rules on its attempt to amend the constitution. 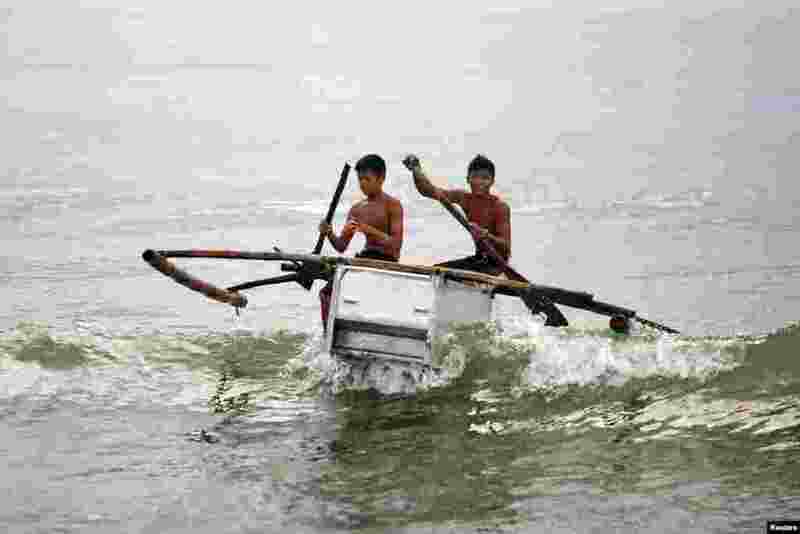 4 Boys maneuver their boat, made from a broken fridge and bamboo, to the beach in Tanauan, Philippines. After losing their boats and houses in the Typhoon Haiyan, fishermen of a destroyed village in Tanauan started building two-seated boats made of abandoned refrigerators and some wood.